the Scriptures are true, authoritative, and sufficient. The Word of God is the same yesterday, today and forevermore. God’s Word is relevant today and is a source of life and direction. (Psalm 19:7-11; 2 Timothy 3:16; 2 Peter 1:20-21). there is only one true God, Creator of heaven and earth, who eternally exists in three distinct persons: Father, Son, and Holy Spirit. (Deuteronomy 6:4; Isaiah 45:5-6; Isaiah 46:9-10; John 17:3; 1 Corinthians 8:4-6; 1 Timothy 2:5; Genesis 1:26; Psalm 45:6-7; Psalm 110:1; Matthew 3:13-17; Matthew 28:17-20; 1 Corinthians 12:4-6). all humanity, Christ excluded, is sinful by both birth and action (Genesis 6:5; Psalm 51:5; Jeremiah 17:9; Romans 3:23; Romans 5:8, Romans 5:12-21; 7:18; Ephesians 2:1-3). Baptism is not a means to salvation, but an act of declaration and testimony of what has taken place in the believer’s life after accepting Jesus Christ. We practice full submersion water baptism and host baptisms regularly. Each believer desiring to be baptized must be able to communicate clearly the message of the gospel, the work God has done in their lives and a biblical explanation of baptism. We don’t practice infant baptism and will insure that young children are able to meet the requirements above and are individually choosing to be baptized. The gifts of the Holy Spirit that we see exercised in the Scriptures are available today and are to be eagerly desired and practiced in submission to the Spirit speaking through the Scriptures. The working of His gifts are for the edification of the church. The church should never become to rigid, structured, or produced that there is no longer room for His Spirit to freely move. The gifts and workings of the Spirit should always bring glory to God and never bring confusion or attention to any person other than Jesus Christ. (Romans 12:3-8; 1 Corinthians 12-14; Ephesians 4:1-16). The Gospel is good news for our hurting and lost world. God’s love story and redemptive plan can be seen from Genesis to Revelation. We feel that the gospel message should be clearly communicated regularly through our teachings. It’s a message that is to be lived out in our individual lives and one of the sole purposes of the church. We believe and encourage that it’s not just the pastors’, Kids Church volunteer’s, or a small-group leader’s job to spread the Gospel. We all are called to go out with the message of His Gospel and the testimony of what He has done in and through us. This can be done in our work places, neighborhoods, schools, families, and by being sent out around the world. We regularly partake of communion as a church.  We follow Jesus’ instruction to His disciples to do it often and in remembrance of Him and His work upon the cross. This act should never become something that is rote or routine. Partaking of communion also provides an opportunity for us to sit before our Savior’s feet and allow Him to search us. This is also a time to again confess and surrender any sins that His Spirit may reveal. We encourage non-believers to abstain from partaking of communion and encourage them to first surrender their lives to Jesus Christ. We do not use real wine, but grape juice and small pieces of motza bread. Jesus Christ is the head of the church and true shepherd. The role of Pastor is to be an under-shepherd by pointing people to Jesus the true Shepherd. God has His church in the world today to be His light, love and truth. For some the church is to be a hospital, where they can come as they are. However, the church should never encourage someone to stay as they are, but to come alongside in the process of Jesus making them who He wants them to be. The church should be a gas station for believers where they can come and get filled-up and sent back out. The believer should also find support and accountability within the walls of the church. The church should never waiver on the truth of God’s Word, nor compromise in order to gain members. People are hungry for God’s truth; they might not even know it. The church should be solely concentrated on bringing God glory and we can do that by not just doing church, but by being the church. Prayer is essential for the believer and is our life-line to God. We believe prayer should be something that, as the Word says, happens “without ceasing.” We can go to God 24/7 with anything and everything. God wants to hear our prayers individually and corporately as the body of Christ. We like to incorporate prayer into our services and also have regular times of prayer, where there is no teaching, but a time of focused prayer and worship. The Bible is filled with prophecies that have already been fulfilled and many that have not. Concerning the end-times, Jesus made it very clear that we would know when we’re close by certain things taking place. However, He also told us that no man knows the day nor hour of His return. Concerning the rapture of the church, there are a few different perspectives and points of view. Sadly the topic of end-times can cause disputes and has split hairs amongst believers for many years. From our gleaning of Scripture and understanding we take the stance of “pre-tribulation.” The Bible indicates that there will be a time known as the “great tribulation.” Some feel Scripture indicates that the church will be taken up before this time of tribulation (“pre-trib”). Some feel that the church will go through part of this time and will be raptured during it (“mid-trib”). Then there’s the belief that the church will go through this entire set time of tribulation (“post-trib”). There are several events that will happen after the rapture, which will ultimately lead to Satan being defeated and God reigning eternal. Whether we are pre-, mid-, or post-trib, it shouldn’t really cause division among us and other believers. Believers are all saved and have the hope of heaven— this certainly isn’t a salvation issue! It is important as well not to find ourselves fearful of these things. This is very exciting for the believer. We are to be living with expectancy and looking to the clouds for Christ’s return. It can be easy to find ourselves consumed with these things. Yes, we want to be consumed with Jesus, but we shouldn’t be consumed with trying to figure out when and how His return will happen. As we wait expectantly for His return, we are called to be salt and light on this earth.